We know everyone is busy this time of year, but August will be FUN at the Richland Library! Preschool Story Time is designed for children ages birth to preschool age. Preschool Story Hour at Richland Library is every Wednesday at 10:30 A.M. The following is a schedule of programs for this month. August 23rd - Let's Scream for Ice Cream! Teen Movie Night – Thursday, July 6th at 6:00 P.M. –We will be watching Lionsgate's Power Rangers which is rated PG-13 and is 124 minutes in length. The movie explores what happens to a group of high school students, who are infused with unique super powers and how they harness their abilities in order to save the world. Richland Writers – Monday, August 7th at 6:00 P.M. Richland Writers is for anyone who is interested in meeting with other people to discuss the craft of writing. Coloring and Conversation – Thursday, August 18th at 6:00 P.M. Join us for fun informal coloring. You can bring your own coloring sheet or choose from one of our patterns. Coffee and Books – Tuesday, August 18th at 10:30 A.M. This month we will be talking about Bone to be Wild by Carolyn Haines, an author with Mississippi ties and the 2004 CMRLS Patron's Choice Award for Crossed Bones. Friends of the Library Meeting – Thursday, August 24th at 6:00 P.M. The Friends of the Richland Library will have a special guest, Mary H. Coleman who will be talking about her book “Mary’s Story and Song”. 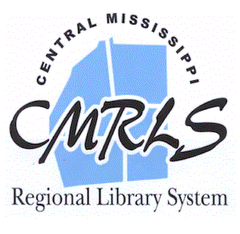 For more information on the above meetings/programs, please call the Richland Library at 601-932-1846. Check the Events calendar for future programs. 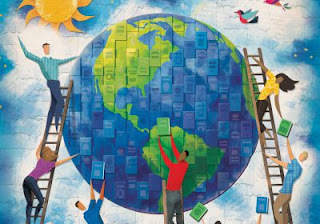 MISSISSIPPI BLOOD SERVICES HELPS THE PEARL LIBRARY BUILD A BETTER WORLD! You don't want to miss out on this. Amy has set up a fantastic adult 2017 Summer Library Program that helps build community in many ways for the Pearl Public Library! And, as we all know building a better community is building a better WORLD! On, Thursday, July 13, look for the Mississippi Blood Services bus to roll into the Pearl Public Library parking lot. The Pearl Library has partnered with Mississippi Blood Services to help "Build A Better World" by saving lives! The free blood drive will take place from 1:00 p.m. to 7:00 p.m. All blood types are needed and welcome!